There's something beautiful about a new beginning, isn't there? Everything is fresh, clean, new, exactly as you want it to be. And then change occurs. I'll be honest, this is the third attempt at a blog over the last few years. I have felt called to writing for as long as I can remember. I have many friends and family in my life who have heavily encouraged me to try once more, and I just can't help by trying it again. So here we are. A fresh start. A new blog. My intent for this little corner of my world is to encourage you; to wrap you up in cozy-feelings; challenge you; fight for you and with you; show you things in my life that worked and that haven't; share my struggles with you; share my joy with you; share what God is doing in me and through me; give you amazing recipes that will make your taste buds soar; make you laugh; make you cry. A few things about me before you commit to following along on this journey with me - I am doing my best to recklessly follow Jesus, and sometimes that can look a little strange to people. There are many times that even among fellow believers that I feel misunderstood, but as long as I know I am following Jesus as He leads me, I have confidence and peace in my "weirdness". You'll see as we go along. This June I will be married 5 years, to my amazing, hard-working, hilarious, logical, fix-anything husband, Jason. We have been tying to conceive for 3.5 years, and I'm sure we'll dive into the ups and downs of that process soon. 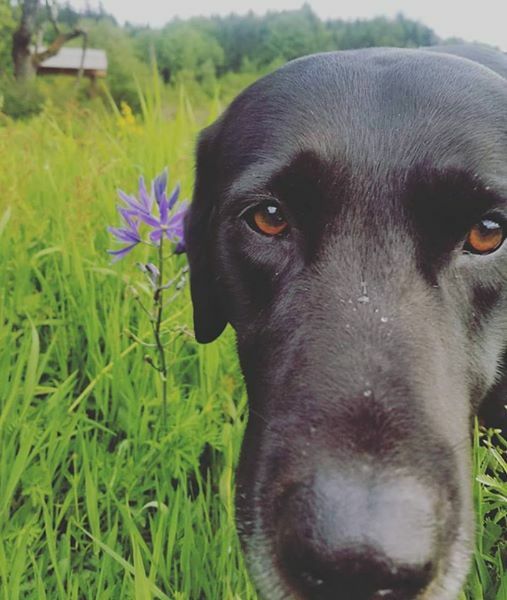 We have a black lab, Moose, who is absolutely ridiculous but we love him anyway. Fun fact: Moose and I share a birthday! I don't know why that makes my heart smile so much, but it does. Jason and I just got done with the process of building a home, and as I sit here I am staring outside at beautiful blue skies, a field of yellow scotch broom, heaps of dirt, and a lot of ideas. A dream of our was to build a home out in the country, and I'll be honest - I don't have a green thumb, and I've never landscaped before. I'll share my traumas and triumphs along the way, and we can all have a good laugh together! My hope is that you all can take the promises God has given you, and turn them into the path that we call life. God talks a lot about our path in the Bible, and He's laid it heavy on my heart to focus on this specific word. Proverbs 4:26 says "Give careful thought to the paths for your feet and be steadfast in all your ways." (NIV) It's a pretty important topic, so let's dive in! I thank you for following me on this journey. I pray this blog may be a way that we can connect and do life together, no matter how many miles separate us. I appreciate you all.